Does your email policy either help or hinder your and your businesses productivity? Do you need to reduce the email overload and learn how to use email etiquette to improve business performance? MESMO Consultancy was founded in 1989 by Dr Monica Seeley. We are one of the leading consultancy practices focused specifically on email best practice for business (email overload, email policy, email etiquette and email security). We enable you and your organisation to use email to improve performance and productivity. Located in Dorset our clients are based across the UK, Europe and Canada and range from large multi-nationals to small local based businesses. They are drawn from the public, not-for-profit and private sector. We operate across the business from the CEO to the receptionist and within all departments including sales, marketing, personnel, IT and finance. Dr Monica Seeley, founder of Mesmo Consultancy, is one of the worlds leading experts on email best practice such as reducing email overload and using email etiquette effectively. She has a wealth of experience from working with a wide range of clients of all sizes from the public and private sector and not-for-profit organisations. Monica is passionate about enabling individuals and their organisations to reclaim their lives from the inbox by reducing email overload and managing their email more effectively. Her workshops, masterclasses and one-to-one coaching help business people not only to save time dealing with email but also to improve how they communicate and manage information whilst remaining legally compliant. Dr Seeley is a Visiting Fellow at both Cass Business School, City University and Bournemouth University Business School. Her research studies include the future of email in the age of social networking, managing email addiction and sociodemographic differences and the use of electronic communications. Monica is a respected commentator in the press, TV and radio. Until 2008 she wrote the PC Stress Busters column in The Times Crème Section. She is a regular contributor to TechRepublic and HotRadio. Monica is the co-author of ‘Managing in the Email Office’ and her new book ‘Brilliant Email’ was published in November 2010. Susan runs the office. Previously she was the Administrator of the London Mathematical Society where she still edits their monthly member’s newsletter. 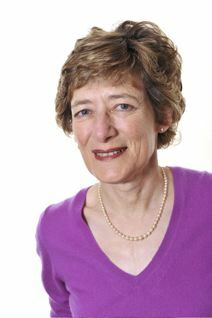 Susan is responsible for organising events and workshops etc, dealing with the accounts and managing the contact database. 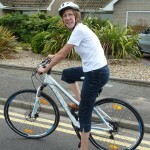 Susan is a keen cyclist and often rides in charity fund raising events. Angela provides back-up and support to the Office Manager. Lorna is a specialist in Business to Business and IT Communications. She has wide media relations and copywriting expertise as well as extensive experience in planning and implementing strategic communications and marketing. Lorna is a full member of the Chartered Institute of Public Relations. She has been an integral part of the Mesmo Consultancy team for over ten years and is responsible for all marketing and PR activities. "I came back refreshed from the Conference and your deliverance, and in my spare moments started filing and deleting all of the unnecessary e-mails in my in box. My sent box is also under attack. Thank you for a refreshing look at housekeeping!"